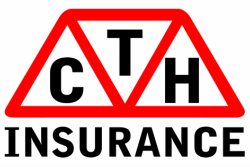 In the event of an accident, CTH Claims will contact the following approved repairer and also the vehicle Engineer. ​Both of these companies will contact you to arrange to inspect and quote for the repairs to your vehicle, or in the event of a total loss, to recover the vehicle. Autocrash are our approved vehicle repairers. Recommended by many vehicle manufacturers for their level of workmanship, they provide a range of repair options. With a selection of Courtesy vehicle which are provided (subject to availability) while repairs are carried out, the team are normally able to visit you at home or your place of work to arrange a quotation. Langford Jones are the best Vehicle Engineers on the Isle of Man, it's a family business which has been handed down over the years. 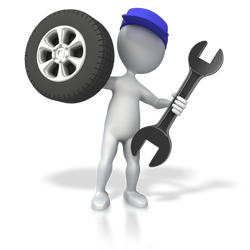 Your vehicle engineer will arrange to inspect and authorise repairs as soon as possible to get you back on the road quickly. In the unfortunate event of your vehicle being written off, the Engineer will agree a vehicle value with you and ask the insurers to settle your claim quickly. Westminster are our approved vehicle repairers for the North of the Island. The are able to offer a high quality of workmanship and in association with a mechanical garage next door can cater for a wide variety of repairs. With a selection of Courtesy vehicle which are provided (subject to availability) while repairs are carried out.